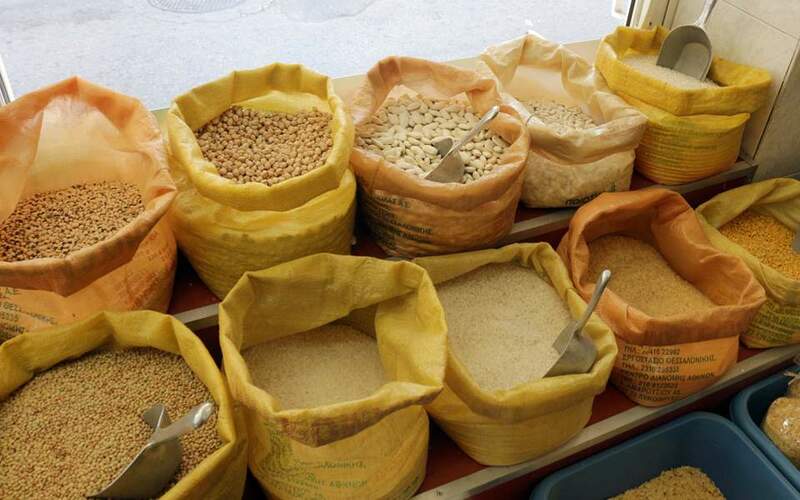 In the last few years pasta, legumes and chicken have become the go-to food options for many households in Greece, offering nutritional benefits without costing too much. By contrast, many Greeks now view fish, beef and lamb as luxury items only eaten on special occasions, while of particular concern is the fact that people have reduced their consumption of foodstuffs such as milk, yogurt, bread, fruit, vegetables and olive oil. The main reason for these developments is the dramatic drop in disposable incomes, not only due to the salary reductions, pension cuts and high unemployment, but also value-added tax hikes. The VAT rate for most food categories rose from 10 percent in 2010 to 13 percent in 2011. In 2015 many were pushed up to 23 percent before rising to 24 percent in 2016. A special consumption tax has also been slapped on a number of products in the last few years, including coffee and wine. These are the findings of a study carried out by the Research Institute of Retail Consumer Goods (IELKA) on the occasion of World Food Day yesterday. The IELKA report pointed to a 21 percent decline in the total value of food purchases from 2010 to 2017 in Greece, while the volume of food sales dropped 15 percent in the same period. Out of the 26 food categories examined by the study, 19 showed a reduction in the quantities purchased last year compared to 2010, and 20 registered a drop in the value of purchases in the same period. The biggest increase in terms of quantity was seen in pasta (14 percent), followed by legumes (10 percent), wine (10 percent), poultry (9 percent), rice (8 percent) and chocolate (5 percent). On the other hand, major decreases were recorded in the purchased quantities of margarine (down 48 percent), sugar (44 percent), refreshments (43 percent), lamb (25 percent), beef (24 percent), cheese (24 percent), fresh fruit (23 percent), fish (22 percent), fresh vegetables (20 percent), coffee (19 percent), olive oil (18 percent), tomatoes (17 percent), potatoes (16 percent), fresh milk (14 percent), beer (4 percent), bread (4 percent), yogurt (2 percent), butter (2 percent) and pork (1 percent). Eggs are the only category where no change in consumption was recorded.